-McDonagh passed an in-game examination from a doctor following the hit. -To say the least, you don't get too many shorthanded goals from Kunitz. -How realistic is it for the Penguins to just cut Cooke (PG+)? -A goal and an assist by Zach Sill led the Wilkes-Barre/Scranton Penguins to a 2-1 win against the Charlotte Checkers. Teammate Geoff Walker recorded two assists while Brad Thiessen made 25 saves in the victory. -The Penguins reached the 50-win mark for the third time in franchise history. -Peter Delmas made 22 saves for the Wheeling Nailers in a 4-2 loss to the Kalamzoo Wings. 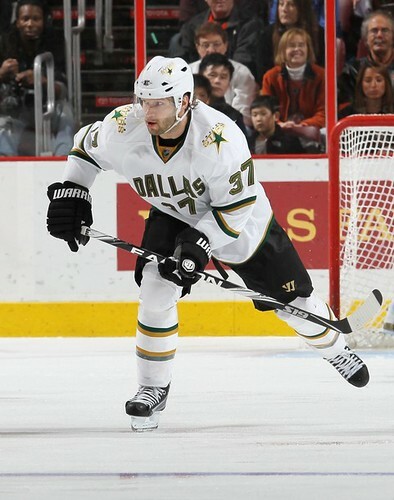 -Happy 47th birthday to former Penguins defenseman Jim Kyte. Acquired in the 1989 offseason along with Andrew McBain and Randy Gilhen in a deal which sent Randy Cunneyworth, Rick Tabaracci and Dave McLlwain to Winnipeg, Kyte, the first deaf player in NHL history, spent parts of two seasons with the Penguins. 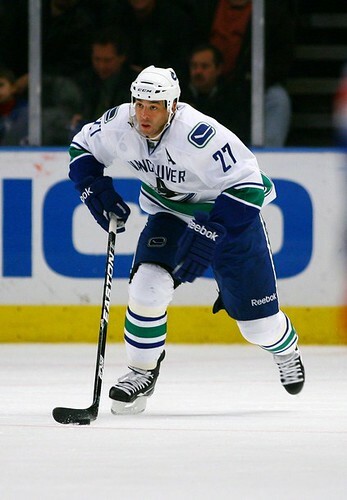 In 1989-90, he appeared in 56 games, scored four points and accumulted 125 penalty minutes. After appearing in just one game for the 1990-91 Penguins, he was dealt to the Flames in exchange for forward Jiri Hrdina in December. In 57 regular season games for the Penguins he had four points. 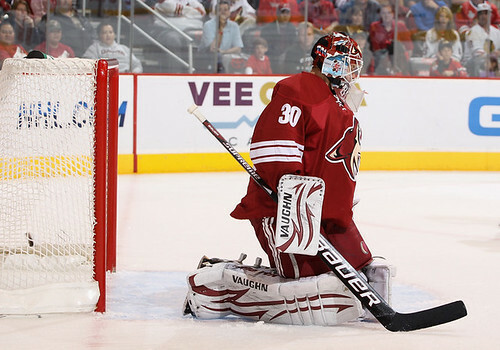 -Martin Brodeur made all of 13 saves and led the Devils to a 3-0 shutout of the Blue Jackets. David Clarkson had two goals for New Jersey while teammate Mattias Tedenby recorded two assists. -A hat trick and an assist by P.K. Subban led the Canadiens to an 8-1 rout of the Wild. James Wisniewski and Ryan White each added a goal and an assist for Montreal while teammates David Desharnais and Benoit Pouliot each recorded three assists. Alex Auld made 30 saves in the victory. 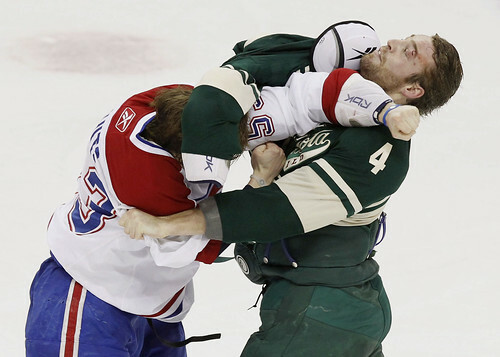 -Canadiens defenseman and former Penguin Hal Gill returned to the lineup after missing two games due to the flu. 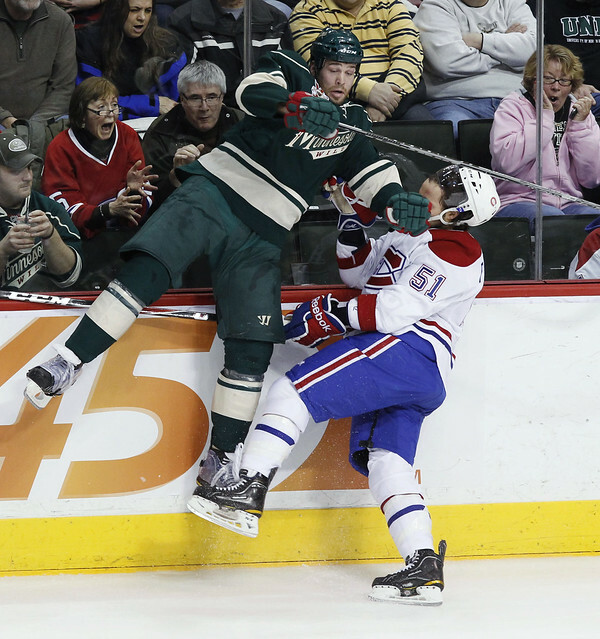 -The defeat was the most lopsided in franchise history for the Wild. -Sabres forward Tomas Vanek, he of the team-high salary cap hit of $7.14 million, has only three goals in his past 17 games. -Hurricanes defenseman Andrew McBain resumed practicing after missing 11 games due to a shoulder injury. -The Panthers demoted defenseman Clay Wilson to Rochester of the AHL. -Martin Erat's overtime goal gave the Predators a thrilling 4-3 overtime win at Buffalo. Blake Geoffrion had his first career hat trick for Nashville while Anders Lindback made 35 saves in the victory. -The Predators managed to score three goals in a span of 2:54 to win the game. -Corey Crawford made 22 saves for the Blackhawks in a 2-1 win at Phoenix. The Coyotes had a five-game winning streak snapped. -Blackhawks forward Patrick Sharp left the game in the first period due to a left knee injury. -The Blackhawks demoted forward Ben Smith to Rockford of the AHL. -The Blues demoted forward T.J. Hensick and defenseman Tyson Strachan to Peoria of the AHL. -It's still not known if Canucks forward Manny Malhotra (right) will regain vision in a surgically repaired eye. -Two goals from Corey Perry, including one in overtime, and an assist gave the Ducks a wild 5-4 win against the Flames. Captain Ryan Getzlaf added a goal and three assists for Anaheim while teammate Teemu Selanne netted a goal and two assists. Dan Ellis made 37 saves in the victory. Former Penguin Tom Kostopoulos had two goals and an assist for Calgary. Fire Craig Patrick. -Perry scored an overtime goal for the second consecutive game. -Selanne moved into third place on the NHL's all-time scoring list. -The Flames have lost 13 consecutive games in Anaheim. -Stars defenseman Karlis Skrastins (right) is dealing with thigh laceration. -Former Robert Morris forward Nathan Longpre signed an amateur tryout contract with the Worcester Sharks, San Jose's AHL affiliate. -Former Blackhawks/Sabres/Red Wings/Senators goaltender Dominik Hasek, 46, says he wants to play one more year in the KHL.